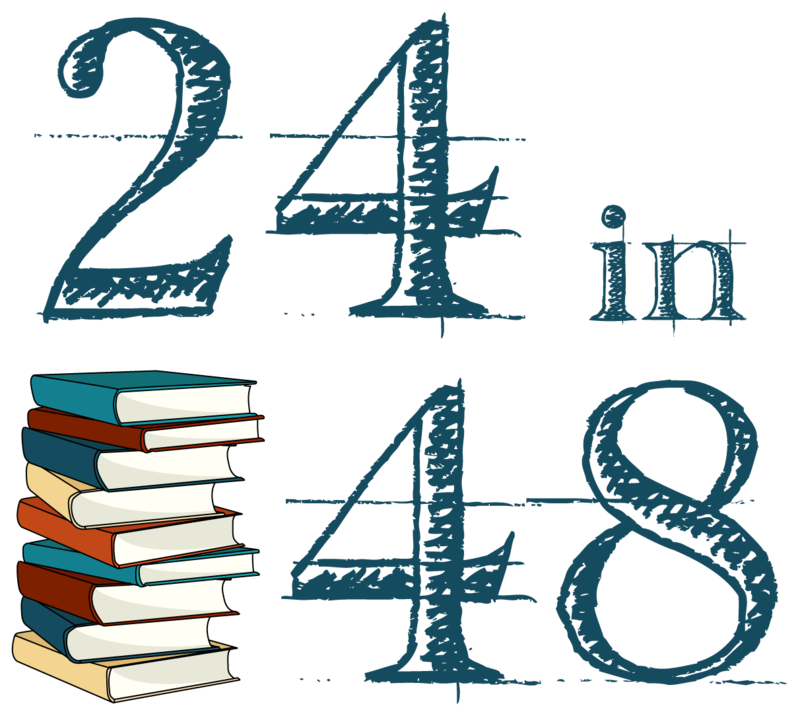 We’re just over a week out from the start of #24in48 (have you been following the countdown on Instagram and Litsy?) and I’ve been hard at work gathering prizes for you lovely readers. I’m so excited to announce the first round of prizes. A second round about prize packs for readers who read a full 24 hours will be coming tomorrow! Even though I’ve been running this readathon for five years (!!! ), I’m still tweaking it each round to make it work best for you, the readathoners. Even as it grows, I want to make sure that it’s the same low-pressure and fun ‘thon that it’s always been. I still want to give people who are more active and engaged online the chance to win prizes, but I also want to give people who are just reading at home the chance to win some stuff too. So to that end, I’m introducing door prizes in addition to challenge prizes. I’ll be increasing my post frequency – every three hours instead of six – in order to give away all these amazing prizes and I’ll be running challenges throughout the weekend here on the blog as well as on social media channels, but you’ll be able to win a prize just for being a readathoner. If you’re signed up to read, you are automatically entered to win a prize. Just show up and participate over the course of the readathon weekend at the URL/username you signed up with (you can edit your entry via the confirmation email you received when you signed up if you need to adjust or add this URL). Winners will be randomly chosen and announced during every three-hour post on 24in48.com. If your name is announced, check the 24in48.com/prizes page to see what’s still available and fill out the form on that page with your top three prize choices. You’ll get a confirmation email with the prize you’ve won by the end of the readathon. If you are based in the US, please choose from the US Only section first, in order to allow any International participants to claim a prize. What I have to do if I want to donate a prize? Send me an email at 24in48readathonofficial@gmail.com! I am really excited to be participating in this read a thon for the first ever. I never got a confirmation email and can’t edit my entry to add my IG! Are there any other ways to edit my entry? Hi Mariana, send me an email at 24in48readathonofficial@gmail.com and let me know what to change your entry to plus the name and email (if it’s different) that you signed up with.